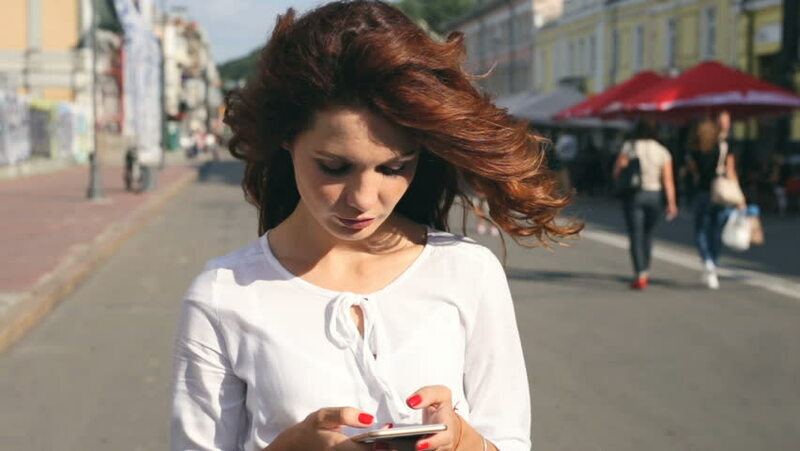 Curly hair woman standing at the street, texting. Surprised emotion. hd01:03Beautiful young woman walking at city center looking at camera smiling. Portrait of stylish women outside in slow motion. 4k00:16Portrait of attractive african tourist with glasses in blue shirt posing to the camera, smiling with teeth standing in in city center.